Several hundred Vermonters assembled at the Church of Bernie on Tuesday night. The hymn books at the First Unitarian Universalist Society Meeting House where they gathered went unopened. 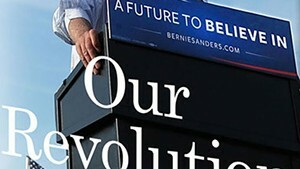 Instead, people in the pews paged through hardback copies of Sen. Bernie Sanders’ (I-Vt.) hefty new book, Our Revolution: A Future to Believe In, waiting for the man himself to appear at the pulpit. It proved a fitting setting for a former presidential candidate who’s now famous for his political proselytizing. 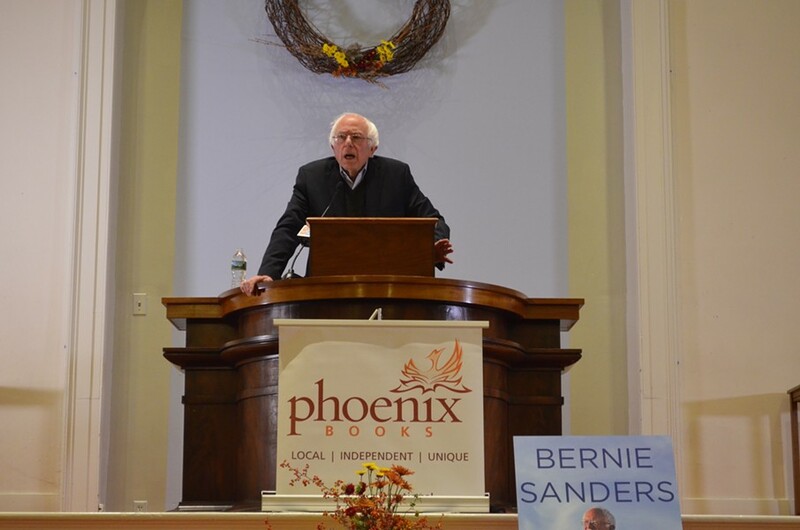 Hosted by Phoenix Books and held in Sanders’ hometown of Burlington, the event was one of several sold-out stops on his nationwide book tour. 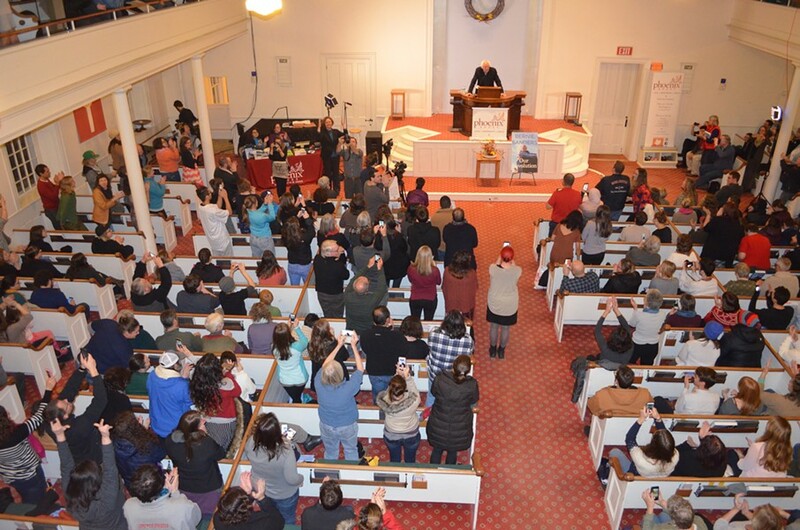 Sanders announced his Senate campaign at the same church in 2006 and some of his most zealous fans attended Tuesday night’s sermon. 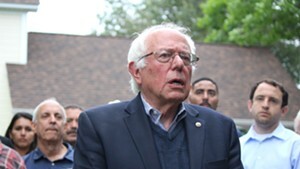 Sanders wrote his book, which describes his presidential campaign and lays out his policy prescriptions, before Donald Trump was elected president. The book’s release, just a week after the election, gave Sanders a reason to again traverse the country, bringing renewed attention to his platform at a time when many of his supporters seek a counterweight to Trump. Diehards lined up outside in the cold 90 minutes before the event. Julie Curtin, a Burlington resident who works at the University of Vermont Medical Center, pulled off a glove to reveal a “Bernie” ring on her right hand featuring a silver silhouette of Sanders’ hair and glasses. She donated to his campaign, called voters and attended his rallies. Inspired by his run, Curtin said she will continue to donate to down-ballot Progressives. In the aftermath of the election, Sanders vowed to try and work with Trump. But on Tuesday, he also promised to stand up for those slandered and demeaned during the campaign. “There is one issue where in my view there cannot be compromise and that is on the issue of bigotry,” Sanders said. 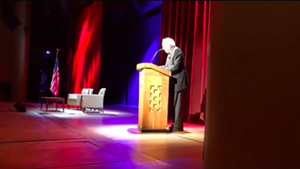 At the end of his lecture — which more resembled a campaign stump speech than a book promotion — Sanders answered several questions that audience members submitted on index cards. Among the first: Did Sanders really write his book on an iPad? 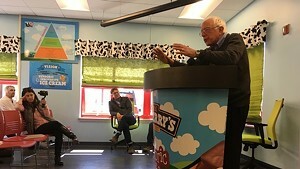 Sanders, who had just railed against the corporate media and its focus on candidates rather than policy, entertained the question with surprisingly good humor. Before the event started, Beth Wallace stood in line with her 6-year-old daughter, Emily Grace, and her mother, Kathy Cardiff. 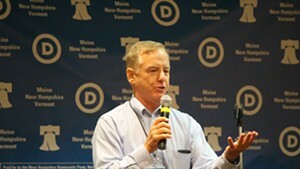 During the primary, Wallace and Emily Grace canvassed for Sanders in New York and New Hampshire. They drove up from Bennington for the book event because, in the wake of Trump’s election, “I want to ask what specifically we can do as Vermonters,” Wallace said. Correction, November 23, 2016: An earlier version of this story misspelled Kiran Waqar's name.